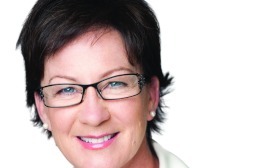 The chief executive and founder of the SMSF Association has announced she will resign as managing director and chief executive but continue to remain with the organisation as non-executive director. SMSF Association chief executive Andrea Slattery on Thursday announced she will resign as chief executive and managing director, with John Maroney taking over the roles. Mr Maroney is head of capital and solvency at the International Association of Insurance Supervisors based in Basel, Switzerland. He brings experience as a senior executive to the role, having worked at the Australian Government Actuary, in the private sector (including building his own financial services consultancy), and for industry and professional associations in Australia and overseas, a statement from SMSFA said. Ms Slattery said she first approached the board with her decision to step down 12 months ago, and the association looked for a replacement over the past year. SMSFA chairman Andrew Gale said Ms Slattery is held in the highest regard by the organisation. He praised her work in advocacy and furthering the causes of the association. “I, and the association, thank her for the growth and success of the association under her leadership,” Mr Gale said. Ms Slattery welcomed the appointment of Mr Maroney, saying he would be perfect for the job. “I am excited for the progress that the association will enjoy under his leadership. He brings a rare set of skills and knows the industry inside out,” she said.